Man and horses have had a great relationship for centuries. They have been beasts of burden for many hundred years. They have been in wars. People have sat on them, and they have drawn chariots and carts laden with supplies and goods. Hence, it would not be out of place to mention here that the relationship between human beings and horses are inseparable. Since horses are also good at running, they have been used as entertainment avenues, and this also has happened for hundreds of years. We will now look at some aspects of horse racing and will pay attention to various horse racing meetings which are slated to happen over the next few days. We will also try and learn about the various things to be kept in mind when it comes to being a part of horse racing as an individual gambler. When Did Formal Horse Racing Begin? Horse racing as we see it today took quite a bit of time to evolve and mature. The first horse racing perhaps started taking place in the 17th century when King James I developed a liking towards horse racing. Thus, this sport was born, and it was often referred to as the Sport of Kings because only kings, monarchs and the ultra-rich could afford to bet on these horse races. However, it moves from the British autocracy and beginning the middle of the 18th century it started to become a sport for the ordinary man, and today it certainly is one of the widest following gambling and gaming activity by millions of people across the world. If one wishes to know more about horse racing meetings today, it also important for us to understand something about the different types of horse races. When we look at horse racing in UK and Ireland, it is broadly split into two different categories. One is referred to as the flat racing. This is plain and simple racing where horses start, and they run. They run either straight or in a circular track. The race comes to an end when the horses touch the finish line. The winning horse or jockey is the one who goes past the post. Then we have something referred to as National Hunt Racing. This is slightly more complex because the horses must negotiate and overcome some obstacles and, therefore, it is demanding both on the jockeys and the horses. They are further categorized into steeplechases and hurdles. The steeplechase and hurdles could be in the form of water jumps, open ditches and much more. Whether it is flat racing or National Hunt racing, horses are classified based on their prestige levels. These include the purse value, which is nothing but prize money. The quality of the horses is also considered, and the grouping starts from Group 1 to Group 3. Yes, group 1 is the best, and then other groups follow. Hence, when deciding on horse racing meetings, these factors should be considered. Then there is something known as handicap which also should be considered. 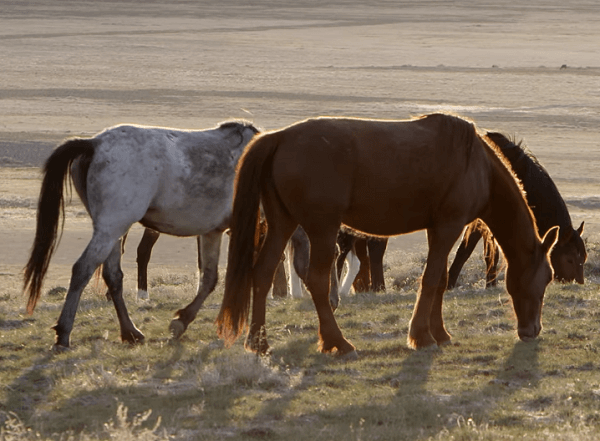 This happens when the horse is saddled with some extra weight on each horse so that it brings in the sense of excitement and competition in cases where a few horses are a cut above the rest. Hence, when looking at horse race fixtures and fittings, this is a factor which also should be considered. As far as the ordinary man on the street is concerned, it is the betting element which perhaps is the most important. As a beginner, the first starting point is to have a clear idea about the ways and means by which one can handle the odds. These are displayed as fractions as far as UK system of racing is concerned. 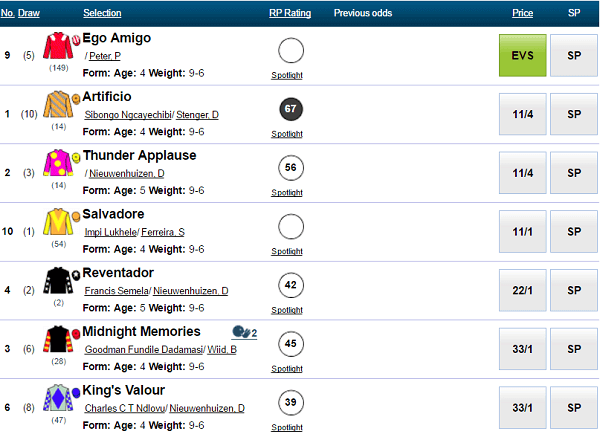 For example, if you have an off 5/1 it means that for every £1 you bet you could win £5. Higher the odds the higher the earnings will be. Hence, when you are looking at the horse racing schedules and meeting, you also must consider the various odds that are being offered for various horses, trainers, and jockeys, either or individually. How Can Meetings Help Select Winners? Predicting the winner is not an easy job, and if it was so, all the bookies would have gone bust. Hence, there are many factors which have to be taken into account when it comes to choosing the winner and punting on it. The parameters to be considered are the horse racing schedules, the number of horses taking part, the pedigree of the horses, the jockeys who will be racing the horses, the trainers, and much more. The meetings are important because it will help the gamblers to find out whether the ground conditions and the weather conditions are suitable for a specific horse. The handicaps if any should also be factored while placing a bet on winning positions. There are many resources available on the internet which certainly could help in more ways than one when it comes to predicting reasonably accurately the winner. A foolproof prediction of the winner would be next to impossible. Where to Get the Fixtures? In the United Kingdom alone it is quite possible that there will be dozens of horse races taking place. Hence, the onus lies on the gamblers and punters to look for the right fixtures. 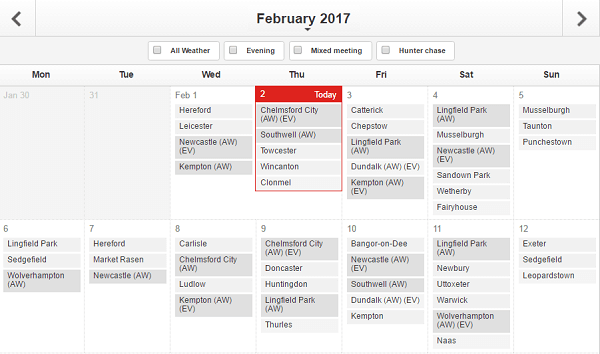 If you look around you will be able to come across daily calendar of races across the entire country. The date, timing, the number of horses taking part, the odds for each of the horses, the jockeys, trainers, the handicaps any and other such valuable and relevant information will be available. Further, the punters will also be able to get some valuable tips when they can get in touch with the right meetings websites. Horse racing is a complex gambling sport where the fixtures and daily meetings certainly have a very important role to play.